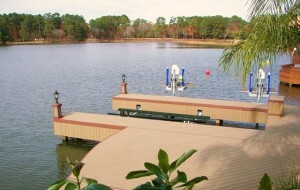 Looking for a quality and affordable floating dock construction? Remote control operation for boat lift mechanism that lowers your boat smoothly and safely, a low profile to prevent obstruction of your views. 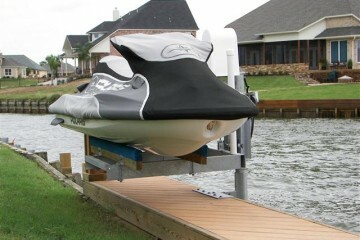 Personal watercrafts are available in a variety of sizes and styles. We carry many different types of lifts to suit your needs. Click different types of lift to the left for the photo gallery. in Marine Construction including: Boat Lifts and Slip Covers, Boat Docks and Slips, Decks, Boat Houses, Pile Driving and Bulkheads - Repair and New Construction. The Dockside Team is poised to assist you in any way on your projects. As a Marine Construction Company, our promise is to build community value into every project while delivering professional expertise, exceptional customer service, and a quality finished product. These guys are great! I bought a motor from them for my lift in 2010. It started making a terrible noise this spring. I returned it and they fixed it at no charge, even though it was past the 12 month warranty. They took all the time that I needed to explain the connections and even provided me with a switch - ALL AT NO CHARGE!! Thank you to the Dockside team! Thank you so much for our beautiful boat slip and lift. It looks way better than I had imagined and we can't wait for summer to put it to good use! Thank you so much for a job well done!